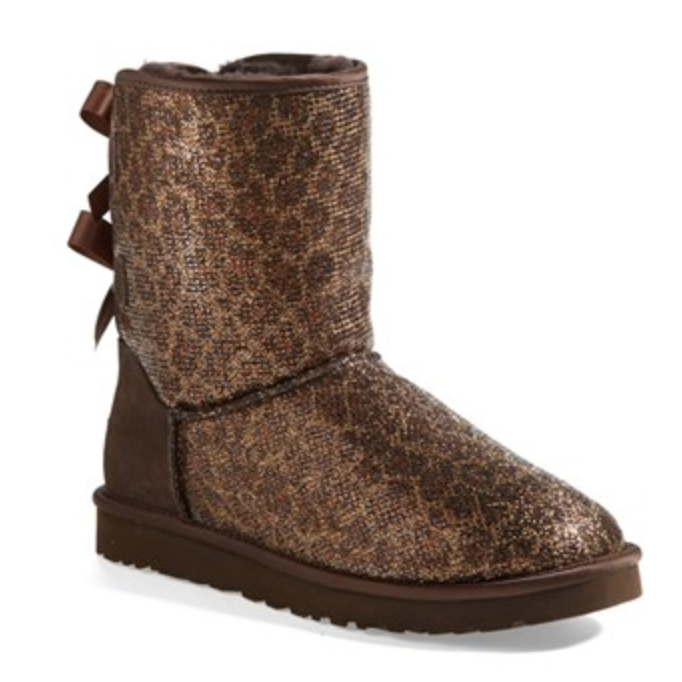 An iconic boot is done up in a glittery animal print—adding a touch of exotic sparkle to your everyday ensemble. The soft, cozy lining is made from plush UGGpure, a textile made entirely from wool but engineered to feel and wear like genuine shearling—keeping feet warm and comfortable, whatever the weather. 1″ heel; 3/4″ platform (size 8). Twinface sheepskin upper/UGGpure™ wool lining/EVA sole.